Send a sweet treat to someone special, just to show you care. 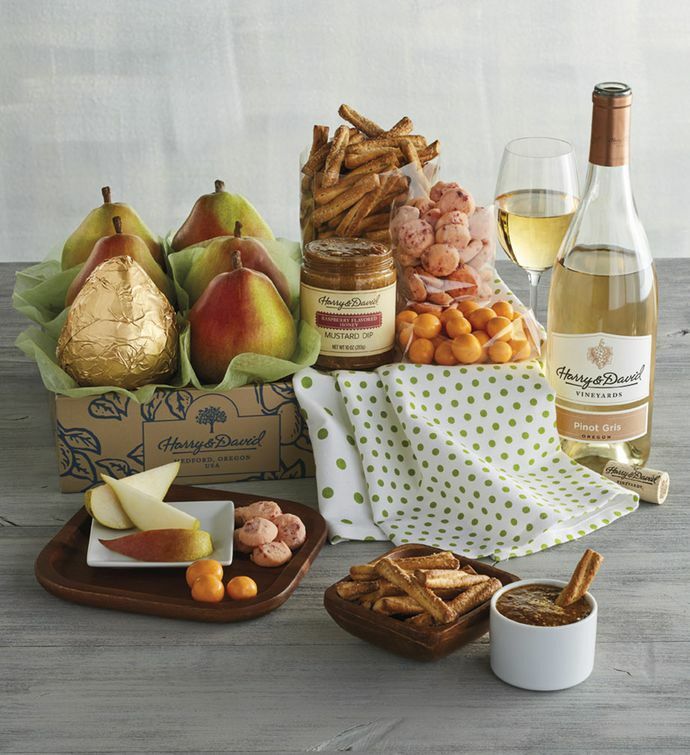 This charming gift includes our classic pears, lemon raspberry button cookies, chocolate-covered pineapple, honey-wheat pretzels, raspberry honey mustard dip, and a handy kitchen towel. We've also included our deliciously refreshing Pinot Gris.